SKULPTUR OG KUNST: Flowerpower in Oslo; A Renaissance of the message from the Hippie Movement. 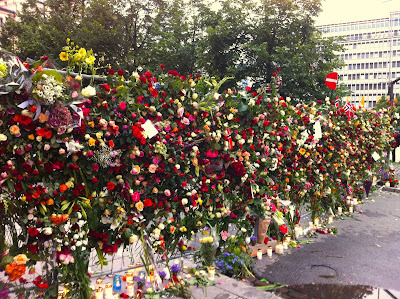 The people of Oslo recreated this and many other roadblocks in the city to a Wall Of Flowers the 25. july 2011. 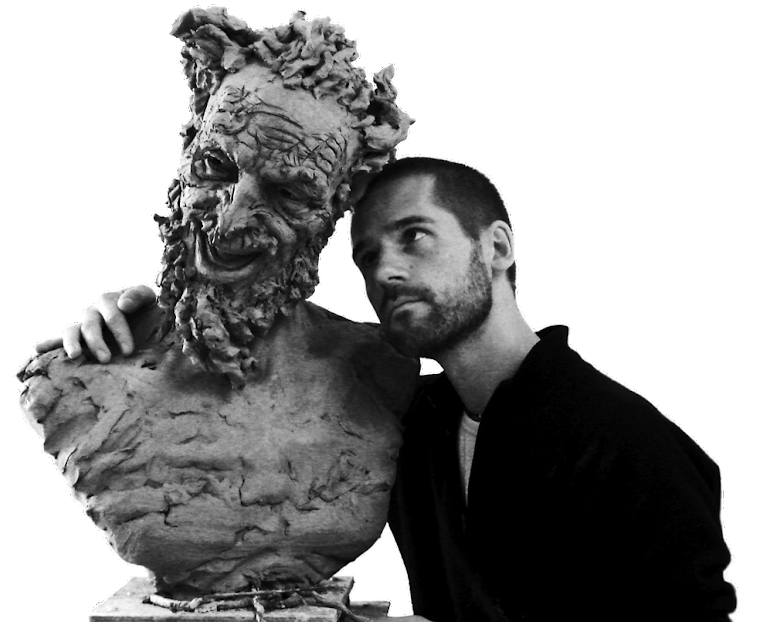 This is not just a ceremony, but also a WORK OF ART. It was a fantastic experience to be in the streets of Oslo yesterday. In his speach at City Hall, the Crown Prince of Norway said; "Today the streets are filled with love." This was a beautiful description of the event, but it was clear that the crowd also needed to express something where words were too scarce. After the gathering I think people expressed this in their own rightful way: They transformed the streets of Oslo into a beautiful work of art. They expressed themselves with flowers, and one could say that they "painted" the entire town with flowers. Everywhere it was possible to fasten or place flowers, there were flowers; on fences and roadblocks, from cracks in the walls, on door handles, window sills, on the ground, in threes, on lampposts, on memorial statues, on cars, military trucks, police cars, trams, busses, light poles, in short; everywhere one looked there were flowers. This was the message the hippies once had; "To fight with love, flowers and openness as their weapons." I thought that to meet people in this way, it feels like being on a kind of "Woodstock Gathering" (without drugs of course). It was beautiful to walk through the streets this evening, because the whole town flourished and all the people flourished as well. I could only see open faces on sensitive and present people, along with flower decorations, the whole 50 minutes long walk I had from the city center to where I live. 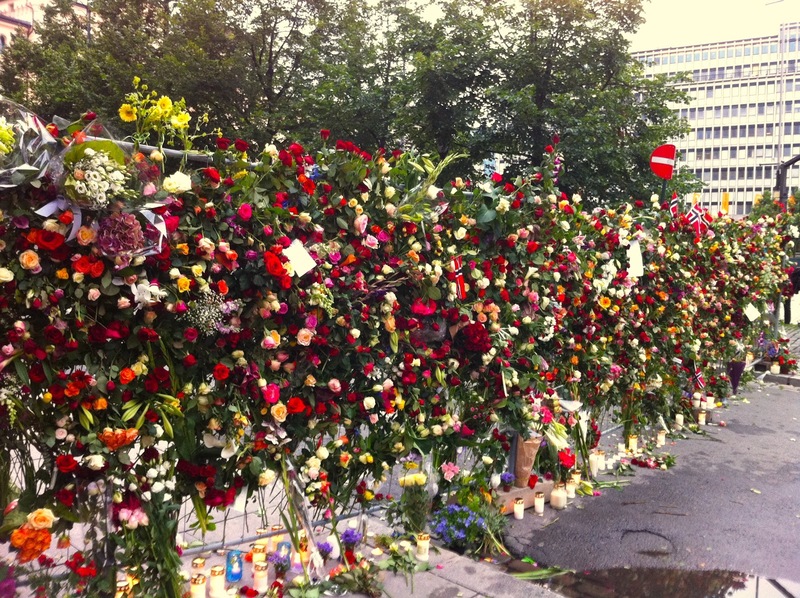 In the city center by Youngstorget (close to the flower wall shown on the picture) I met a friend who told me that when he saw the terrorist action, he lost faith in humanity. But now, after having experienced this evening, with the people gathering and this flower event, he regained faith in humanity. I hope these news about Norway and the norwegian people will reach the whole world! Please share! I am moved to hear that there are so many positive sympathy reactions from the whole world.